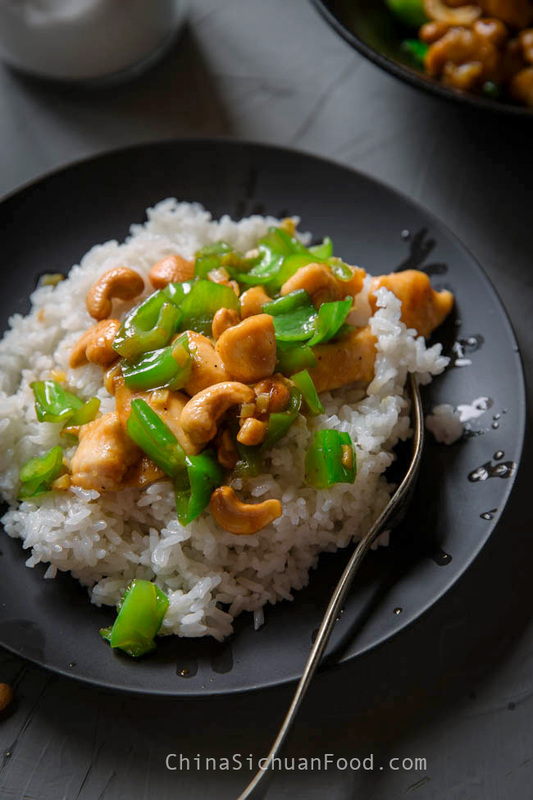 Delicious Chinese cashew chicken with very common and humble ingredients. 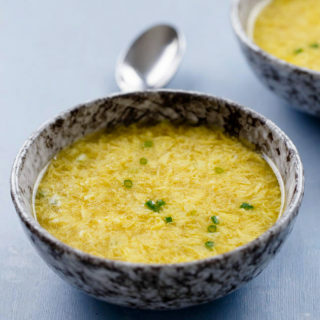 Easy preparation, perfect for quick meals. 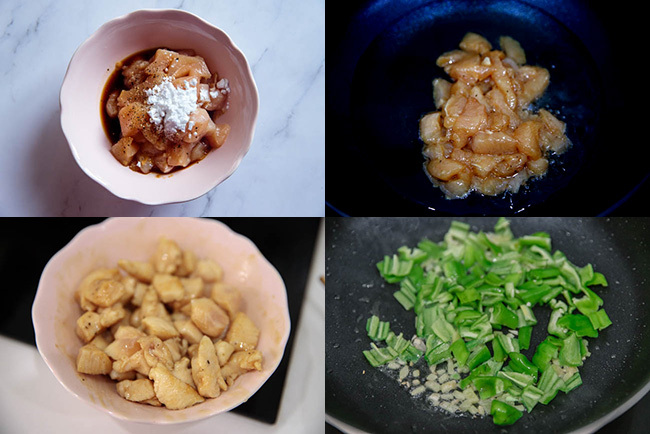 I am a big fan of all types of chicken cubes stir-frying dishes. 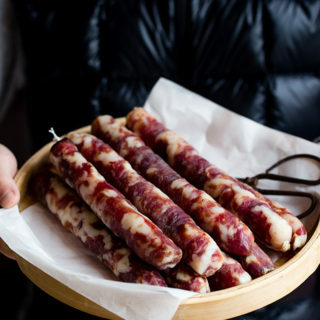 They are so simple but delicious. 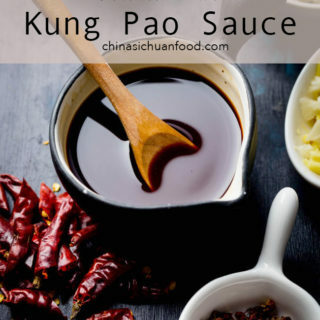 Comparing with the complex flavor of kung pao chicken, this one is much simpler but they combine very well too. Food are always magic as they help each other enhancing the flavors. 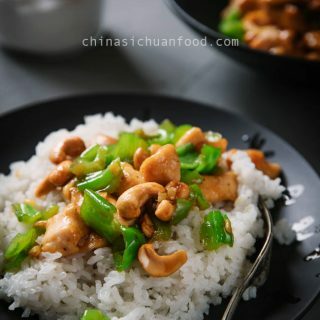 This is a very simple combination of chicken, green peppers and cashew. 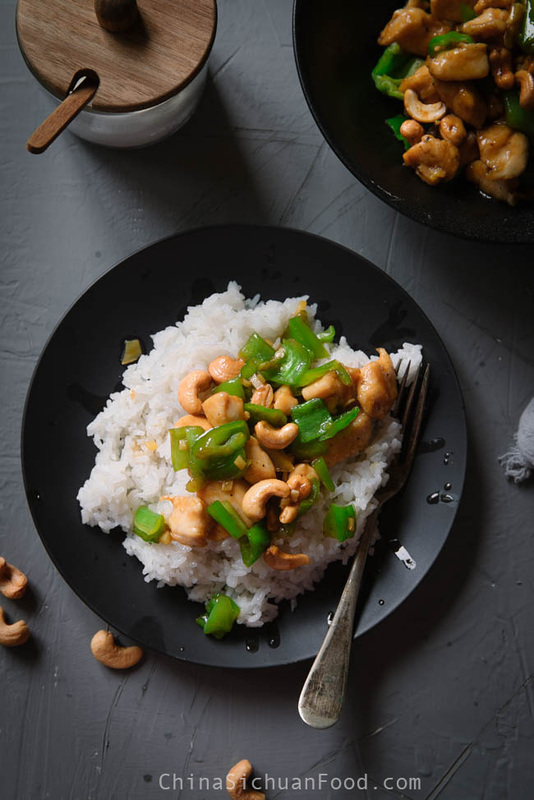 Taking a bite of those three ingredients with a small portion of steamed white rice is so satisfying. Nuts added in dish is not only for texture comparison which can make the dish more interesting when eating, it also creates a very unique flavor after mixing with the unbonded sauce. 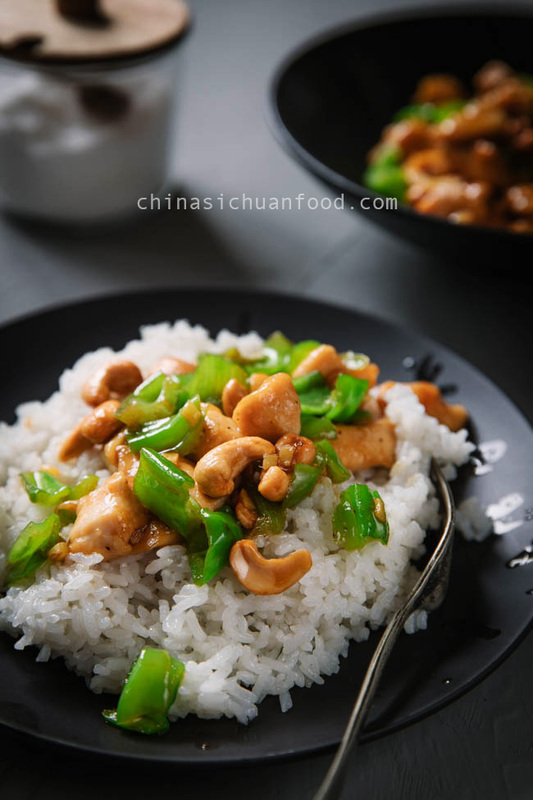 Comparing with other recipes you may found on the internet which usually contain a large amount of stir-fry sauce not connected with the main ingredients. Real Chinese cuisine do not allow that happens. 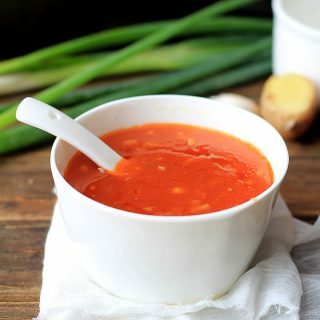 A large amount of juicy sauce is only allowed in braised dishes. Relatively braised dishes are cooked for a larger amount of time, as a result, the flavors are better absorbed. 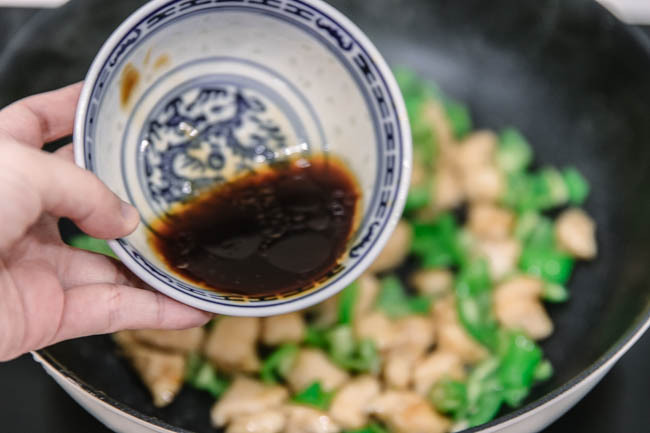 In common stir-frying dishes, we hope to make the sauce coat or “wrap” the main ingredients to enhance and strong the flavors, otherwise the main chicken cubes might be plain and less delicious. I hope you can try my version and figure out the difference. In other Chinese recipes with heavy taste, I would recommend using boneless chicken legs. But for this one, chicken breast is a better choice. I use a milder chili pepper with a very faint hot and sweetness flavor for this one and it comes out super good. Chicken breast is tender meat and in most cases, it can be overcooked. So be carefully with the oil temperature and how long you cook the dish. Marinating chicken cubes with ground black pepper, cornstarch, water (or Chinese cooking wine), light soy sauce, salt and sesame oil. Set aside for 30 minutes. Place oil in wok and place the chicken cubes in. 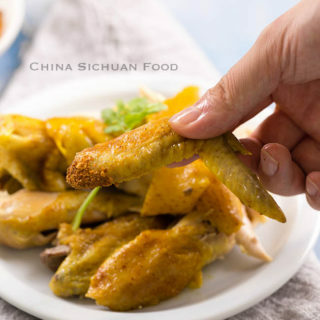 Spread them evenly on the cooking pot with chopstick and gently fry.Watch the chicken cubes carefully and transfer them out as long as they turn pale. Leave around 1 tablespoon of oil in and fry garlic and green pepper until aromatic. 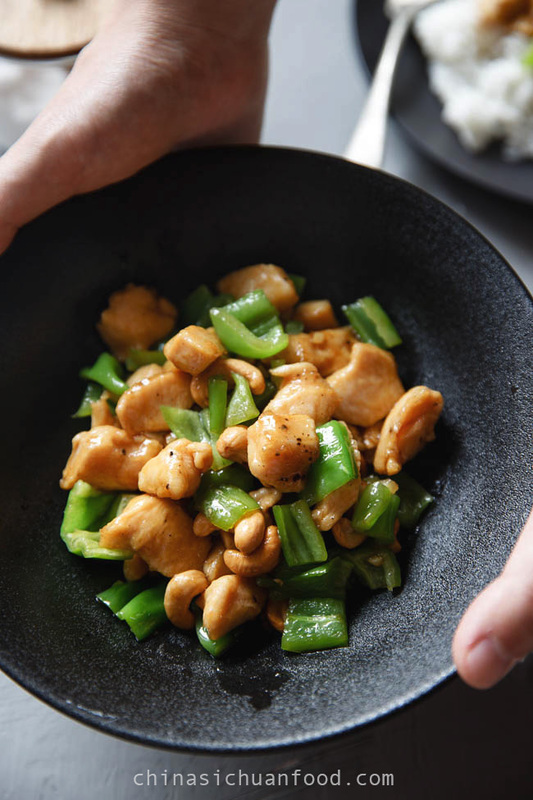 Return chicken cubes and place the stir-frying sauce in. At last, spread the cashew nuts in. 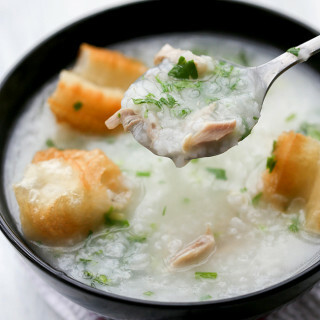 Mix quickly and serve with steamed rice. Marinating chicken cubes with ground black pepper, cornstarch, water (or Chinese cooking wine), light soy sauce, salt and sesame oil. Set aside for 30 minutes. Mix stir fry sauce in a small bowl. 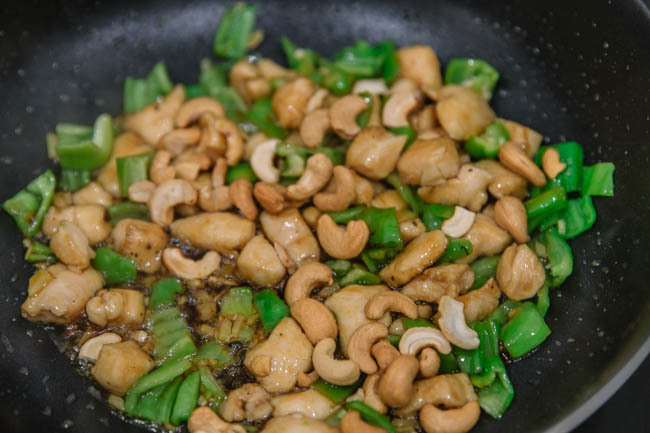 Spread cashew nut in a non-stick pan and toast over slow fire until crispy. Place oil in wok and place the chicken cubes in. 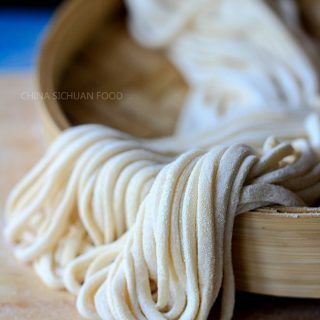 Spread them evenly on the cooking pot with chopstick and gently fry. Watch the chicken cubes carefully and transfer them out as long as they turn pale. Leave around 1 tablespoon of oil in and fry garlic and green pepper until aromatic. 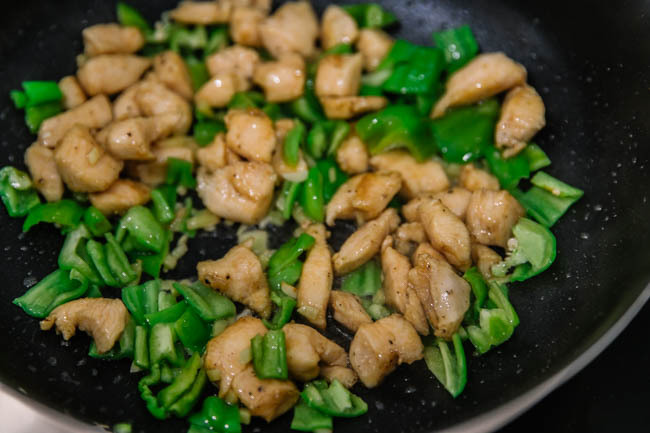 Return the chicken and add stir fry sauce. 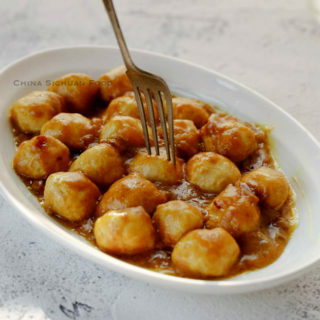 When the sauce is almost all attached to the chicken cubes, turn off heat and spread cashew nut in. 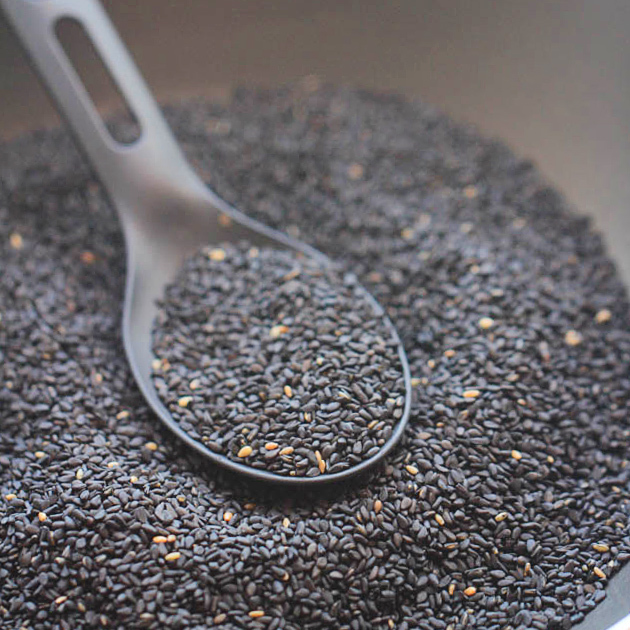 Mix quickly and serve hot.